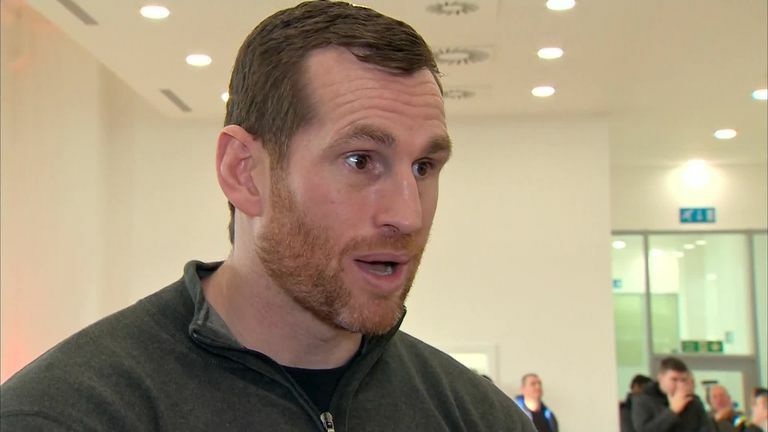 Heavyweight David Price says people have held him in higher regard since his knockout defeat against Alexander Povetkin. David Price sees Lucas Browne as the perfect opponent to continue his rise back up the heavyweight ladder. 'Pricey' will fight in Liverpool for the first time in more than three years on the undercard of Liam Smith and Sam Eggington, on March 30, live on Sky Sports. The heavyweight admits he will not take a risk for his first fight of 2019, but sees former WBA regular world champion Browne as the perfect opponent after that. "The Lucas Browne fight is one that's been mentioned this week and it's a fight I asked for after the Tom Little fight," he told Sky Sports News. "That's a fight I would love to take on board after this one, or even if he fights Dave Allen, whoever wins that. "There's some nice fights out there to be had. We're not scratching around just fighting for the sake of it. There's that one and many others that we can have." Price admits he is unlikely to work his way back into the world title mix following last year's defeats to Alexander Povetkin and Sergey Kuzmin on Anthony Joshua's undercard, at the Principality Stadium and Wembley. But with a win over Little in his final fight of 2018 under his belt, Price remains confident he could still spring a surprise in the heavyweight division. "The reality is, when I've tried to reach world level, it hasn't worked out, and I accept that, so I will just go as far as I can go," he said. "Wherever it may be, I will know when the time comes and I lose again and that's it. I can't make any more targets than that. "It's got to be a short-term thing with me, step by step and who knows where I might find myself. You just never know." Watch Ted Cheeseman challenge Sergio Garcia for the European title at The O2, London, on February 2, live on Sky Sports Arena, from 7.30pm.